I was talking about how I notice a great deal of crazy-pants escalation and inequity in sports, so I’m going to illustrate this with our experiences with the girls’ sports: gymnastics, soccer, volleyball, & track. And this is way too long-winded, so I’ve tried to divide it up so you can skim to whatever seems interesting and skip what isn’t. Which might very well be all of it–this is one of those that I just need to purge from my system so I can write about something else! Going in: I loved gymnastics as a kid, so both M & J tried it. Because of all the specialized equipment, it’s a sport that’s more expensive than many others available through towns and schools, but it’s super fun and popular as a nice weekly class from preschoolers on up, which is how J started. Escalating: Do you know when parents started getting crazy-competitive about gymnastics? With J, I think it was the summer after kindergarten. The gym we were going to at the time had a special, invitation-only summer program where they vetted potential team members, and at the end, only some were invited to a special “pre-team” that was, gosh, I think it was twice a week for 2 hours each. This seemed a little too intense to me for a first grader, but I consulted my sister, who consulted her older children, and they thought that I should offer J the opportunity so she wouldn’t be “closed out” of the sport in the future. As it happened, J was scared off by the intensity, too, and ended up taking a year off from gymnastics before we found a new gym. But I can see how parents can get sucked into this: when someone tells you that your daughter is somehow extra-talented at something, you want to nurture that, especially if she loves doing it. We loved J’s new gym when she started gymnastics again, and she was happy to join the very first year that they offered a team. It was necessarily low-key since they were just starting. Then it got progressively more intense. 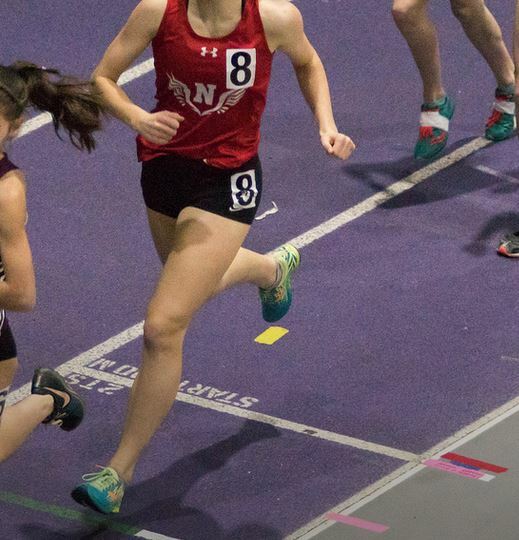 By the time J quit, the summer after 6th grade, she was working out 12 hours a week during the school year and more over the summer even though she was on the purposefully less competitive Xcel track (as opposed to the Junior Olympics track). That was a huge commitment for her, making it difficult to participate in anything else, and just schlepping her back and forth took hours out of our week. For all of us, it felt too intense, but at that point our choice was basically to quit or stay all in. Some people change gyms, but she loved her gym. She tried to just take a class, but it was too much of step down. Meanwhile there were plenty of younger girls eager to train as much or more than her. Costs: The cost of gymnastics training is expensive, though perhaps not as expensive as you’d expect, because you’re paying much less per hour on a team training schedule than you would for just a weekly class. But it’s still quite a bit, and add into that the cost of leotards, grips, meet fees, admission to actually watch the meets, and travel and sometimes hotels for meets. On top of that, the super-intense parents are paying for summer camps, private coaching, and gymnastics equipment for kids to practice at home. It’s clearly not an activity that’s accessible to everyone. But if you have the resources and an enthusiastic kid, it’s easy to go from one innocent weekly class to twice a week, to getting excited about joining a team, to not wanting to force your child to quit something that they love doing. Going in: Soccer started for M (and J, but she lost interest quickly) with the super-reasonable, absolutely lovely town recreational program and progressed to a town club that was for kids who liked soccer enough to want to do it more often. We knew a ton of kids who played soccer, and we also knew older kids who’d been cut from the school program because it’s so popular. Escalating: For us, the town club sort of imploded during a year when there was some pretty bad coaching, but what happened for us pretty quickly in one bad season seems almost inevitable anywhere. The really good kids go find a more intense private club, which, around here, starts with attending a series of club tryouts and choosing which to join. If your child remains at the cheaper local club, they gradually start to lose all of their more skilled, more soccer-enthusiastic teammates. It’s tough to play on a team where the other girls can’t receive a pass, and by middle school, the recreation league teams have dwindled significantly. When this starts happening, many of the moms (and I say that specifically, because dads, including Cute W, tended to have different concerns) are starting to fret about high school try outs, because they’ve got daughters who love to play soccer, and they don’t want their kids to get closed out of the chance to play for school. The only reason why I’m saying “they” is because my daughter is safely on the team now. But yes, that was totally me. In our school district, if you don’t join a private club and play a lot of soccer, your chances of making the school team are slim. So what ends up happening is that the school team is composed of girls whose families have the time and money to invest in clubs, and when the school team plays other schools, even though the schools are in the same area and roughly the same size, the competition can be very uneven based on whether the girls on the other team are able to play club ball. It is brutal to watch and no good for anyone, and I’ve suggested mixing the teams up at halftime when the teams are obviously at different levels, but no one cares what I think. Meanwhile, among the club players, the super-intense parents are frequently switching from one club to another, searching for the coach who will truly appreciate their talented child and the teammates who will be strong enough all over the field to let their child shine as the team triumphs. Or they will get their kids to attend all tryout sessions of all clubs to get maximum practice and exposure and suss out the competition. And parents talk to each other, trying to recruit talented girls to their daughter’s team. And some of M’s teammates live 90 minutes away, so they are traveling to three practices a week at 3 hours round trip per practice. Costs: Private clubs can be expensive. There’s also paying for the uniform kit (usually a couple of jerseys, a couple pairs of shorts and socks, additional practice jerseys and warm ups or sweatshirts, and sometimes a backpack) as well as travel and accommodations for tournaments. I know people who have flown for tournaments, which is something we’ve managed to avoid thus far, in part because we’ve had parents just refuse to participate in activities the coaches would like to do. Everyone joining a team is pretty much roped into all of this, because you don’t want your kid to be the one kid who doesn’t have whatever-it-is that the whole team’s purchasing, and you don’t want to let the team down by missing games. But meanwhile the super-intense parents are enrolling their kids in camps, searching for the best team in the region instead of in town, and paying for personal training or personal instruction. 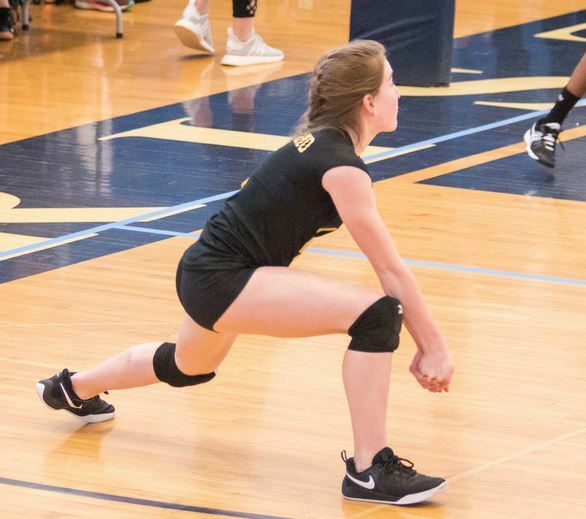 Going in: J enjoyed playing volleyball in gym, and as she was thinking about a school sport that she might want to do if she quit gymnastics, volleyball became her #1 choice. The summer before 7th grade, she was still doing gymnastics, gosh, maybe 18 or 20 hours a week, but she had decided she wanted to go to the school’s volleyball tryouts in mid-August. I’ll admit it: volleyball was the sport in which I’ve been the closest to a snowplow parent clearing my kid’s way. 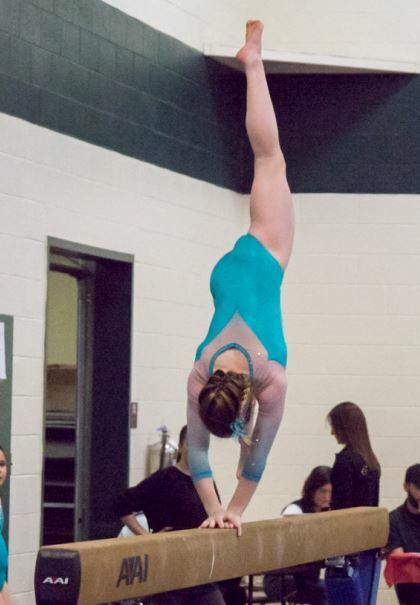 The transition away from gymnastics was going to be painful, but J had been struggling with it for about a year already, so it felt inevitable, and I was eager to help her find some success in another sport that could help with the transition. I enrolled her in a week-long “Volleyball 101” summer camp prior to the tryouts–which we just barely balanced with the gymnastics schedule–and hoped for the best. In the middle of tryout week she decided to stop gymnastics and go all in with volleyball. She made the beginners team and you’ve heard about her rocky start with school ball. Escalating. J loves volleyball, so it was a no brainer for us to have her join a club. We were fully indoctrinated in the team club culture through M’s soccer, plus now that gymnastics was done, J had a lot of free time on her hands. And that club tryout went well, and she’s now in year two with Northeast Thunder. The older and better the team, the more traveling you’ll do, and if you have a very strong player and the time and money to spend, there’s a regional team made up off the best players from all the local clubs that goes to a championship down in Florida. J has improved her volleyball skills a ton since she first started, and a lot of that is because she listens to her coaches, works really hard, and practices on her own. But she’s also benefited from camps and clinics that not everyone has the money or time to attend. Costs: All in all, volleyball club costs have been much more reasonable than our soccer club experiences. The fees are less, the required uniform is a couple of jerseys, and there is a scholarship program. Of course there are knee pads and volleyball-specific sneakers. There’s the cost of traveling to volleyball tournaments , and ironically, the costs feel slightly more noticeable to us in J’s volleyball club than with M’s soccer club. M’s soccer club is expensive–Cute W and M deeply love soccer and recognize where to find the best coaching–and the parents are all financially comfortable enough that they’ll buy each other drinks at a hotel bar without a second thought. In volleyball, you can see the calculations that different parents are making, how some are able treat themselves to extras while others have to scramble and economize a little more. The range of experiences puts the costs and inequities into sharper relief even in a sport that’s relatively accessible. Going in: By far, track’s the sport where we parents have been the most casual and unintentional. Although we’d told each daughter, “You should try track,” we never particularly pushed, and both girls decided to do it on their own by starting with the school team. M joined “for fun” because she liked the idea of keeping active when soccer was over, and she knew friends and coaches who said that they needed new people. J has just started track because she likes to stay active and she’s heard about the fun M’s had. Escalating: We first realized that track was going to be serious for M when she was invited to go to a far-away, invitational meet. At the time, we hadn’t even bought her the special spike shoes for running on track surfaces. Since then, there have been many meets that are fairly far away, including frequent trips down to New York City. M also had an injury that was resolved with the help of a chiropractor, and at the time we heard that another very competitive teammate visited the chiropractor weekly. Many kids also go to running camps. Costs: While this has been our cheapest sport, done entirely through school, borrowed uniforms and all, there’s still the expense of buying plenty of sneakers, which wear out quickly; spikes if you want to get the competitive edge; and a high-quality sports bra for the girls who need it. And costs really add up if your kid is fast enough to be competitive. When M went to her first invitational meet, we wrote a check to cover the cost of the bus, meals, and hotel. Since then, we sometimes write a check for a bus or sometimes we’ll have to arrange transportation ourselves. We have to pay admission to most meets, and for a recent meet, Cute W and I traveled down to NYC and then paid $40 for standing room only admission, which is admittedly more than usual. There’s also an expense that I find downright comical: buying extra singlets for a big competition. I don’t entirely understand the rules, but if a runner qualifies and is permitted to run in some of the bigger, more prestigious meets, they’re not supposed to wear their school uniform. But if they’re part of a relay team, which M usually is, all four runners need to wear the same uniform top (aka singlet). And while there’s a core group of girls that will often be on a relay team together, it’s reshuffled frequently, because if a girl qualifies for something on her own as well, the coach might give someone else a chance to join the relay and let the girl focus on her single event, or someone might have an injury or a scheduling conflict. The result is that the coach and parents will find out that the girls have qualified for something and in very short order, we’ll need matching singlets for a group of girls. When that happens, the person most likely to order the singlets is either a coach or a very enthusiastic, involved parent. Whoever it is, that person is super, super excited and proud that these girls have qualified. And buys singlets appropriate for such an exciting and important occasion. So M’s scored a couple of really nice running singlets in the last month or so. The type of tops that have more of a birthday present price tag than a stocking-up-on-my-workout gear price tag. And yes, they could probably work out some sort of re-use system, but it’s tough enough keeping track of the regular uniform singlets. Besides, we’re so happy and proud that we’re all feeling a little indulgent. I feel like there are a few factors happening to make the sports scene the way it is, and it seems likely that this translates to other activities as well. School teams are competitive, and parents want to give kids a fighting chance to participate. Sometimes “missing out” might be things like getting kids registered for a camp “everyone” is doing or making sure kids have the equipment or clothing “everyone” has. It’s a really understandable impulse, but it’s also easy to get carried away. Also, we grown-ups are supposed to be past this sort of thing, right? When it comes to school tryouts, though, I’m definitely not past it. Even though it usually isn’t my own kids, there is always some heartbreak or some injustice at tryout time that has me almost-weepy. It makes sense that gyms and clubs want to be known for having the very best athletes. Which is great for your kid as an athlete, but it may or may not be the best for a well-rounded, emotionally healthy kid. Tons of hours of practice lead to better sports performance at a competition but possibly stress or exhaustion in general. 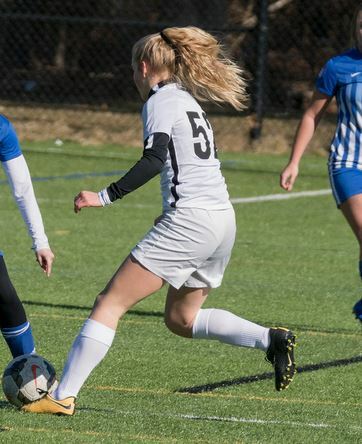 We’ve known of club directors who want to travel far to see and be seen by college coaches, even though the team could have been beaten on a much smaller local stage at less expense. But I’ve also talked to a coach who’s felt compelled to have her team travel and compete more because the parents demanded it, and she didn’t want to hold the kids back. Some parents see their kids’ involvement in sports as a vehicle to scholarships, which is a bummer because these athletic scholarships are much less common than the number of parents who think that their kids have a chance of receiving one. In any case, some of these parents will invest massive amounts of time and money on special training and equipment. When you’ve got these parents around you, it tends to move the needle for everyone. What’s unreasonable at face value becomes more reasonable when you’re surrounded by families going to extremes. Team sports make this effect worse, because along with the usual peer pressure, there can be the sense that if you’re child doesn’t do/have X, they’re letting their teammates down. And meanwhile, it is a bummer for the kids of these parents, because for some reason, it is often true that this category of parent is parenting a child who is a good player, but not really the team superstar. So there’s tons of pressure. Of course we’re proud of our kids. If they do something awesome, especially when it’s the result of tons of hard work, we want to celebrate it and we become more indulgent. But that can get destructive, too, whether it’s crowing enough on social media that it starts making all your parent friends feel crappy or it’s just impairing our judgement enough to go over-the-top in other ways. There are also parents who are really, really emotionally invested in their child’s sports performance. Some parents love a sport so much that they push their kids to do it, not noticing when the kids don’t seem to be interested except as a way to keep the parents happy. The worst, though, is what I think of as the “Proud if” style of parenting. These parents act really disappointed and angry when their kids make a mistake or lose a game. The effect is that it feels like their love is conditional, based on whether the kids can “make them proud” with the right play. I have seen a ton of this, and it is really sad to witness. So, here’s the thing. . . . I am guilty of doing all of these things. I’ve definitely signed the girls up for extra camps as we looked ahead to school tryouts, and I will go along with whatever the team’s doing or whatever the coach wants four out of five times. I can get embarrassingly riled up in the heat of competition, most notably when J is in a close volleyball game and the player-scorers aren’t paying attention and give her team’s point to the other team. And while I restrain myself from bragging much of the time, I often appreciate when Facebook friends brags about their daughter’s team which is also my daughter’s team, then tags me so that I don’t actually have to brag, myself, but let’s face it: this is really just a passive-aggressive, work-around way of bragging. My point is, I feel complicit in a fundamentally inequitable and crazy-pants system, and even if I’m not as bad as, say, Will H. Macy, I don’t feel entirely great about it. My girls are terrific athletes, but they are also extraordinarily lucky to have parents who spend plenty of time, attention, and money to support what they want to do. And I’m glad for them, and I’m glad to do it, but I’m also struck frequently by how unfair things are for the athletes who don’t have that kind of support. All of which I just needed to get off my chest. So thank you for your patience. I so appreciate your insight. My kids are younger and we are currently trying to figure out what is the right amount of sports for us. One thing we are considering is having the 9 year old chip in $20 (which she has in her spending envelope 5x over) of the $140 softball registration fee, to make sure she really wants to do it, and to help her have some skin in the game. Is this asking too much? In retrospect, would you have chosen sports and activities differently or are we all pawns in the sports industrial complex? @Rose, thank you. For chipping in toward the registration fee, I don’t think that that’s unreasonable, but also, what if she said, “Never mind, then”–would you be sad? We’ve tried and discarded various sports beyond the ones I talked about (gymnastics for M, soccer for J, dance & ice skating for both, field hockey for J, basketball for M) as well as other activities (cello, trombone, chorus, art classes) and I don’t feel like those experience lacked value just because they didn’t want to keep doing them. I want them to explore different things, and I’d be afraid that asking them to pay would discourage the exploration. On the other hand, there are other items that are more extravagant (particular camps, “must-have” gear, etc.) that in retrospect I wonder if we should have had the girls invest in some percentage of the cost. If I had known what the gymnastics team commitment was going to be like, I wouldn’t have encouraged it, I don’t think. On the other hand, there was so much that she learned from those experiences: she’s physically and mentally stronger, she’s got such focus and determination and tenacious perseverance, and a lot of that comes from the gymnastics training, plus the coaches and the girls were really great. Ha, I love “pawns in the sports industrial complex” and it feels that way, sometimes. I think it’s a symptom of a particular American, upper-middle-class suburban life, and I feel like it’s hard to escape, unless you go someplace else (super-urban or super rural or another country), or your kid isn’t into sports (although it’s likely that there are other industrial complexes), or your sporty kid is naturally athletic and super-self motivated and hardworking enough to excel by practicing on their own (although honestly, it’s likely that such a kid would be recruited into a club or school) or you’re just super-chill about your kid dropping out of school sports and trying to do something for fun (but finding casual, low-cost ways to participate for teens who aren’t at a high level in sport is pretty tough, too). I wish that I had a better solution, but obviously I’m smack dab in the middle of this trap. I actually don’t mind our time and expense so much as I just wish I knew the right thing to do to help kids who are enthusiastic about sports but are at a lower socioeconomic level, like when a whole team just hasn’t gotten basic skills down yet, and it’s not their fault at all, it’s really a question of access. That makes sense. I feel a similar guilt about basic academic advantages my kids have like lots of books at home, museum visits, and specialized tutoring and testing for learning disabilities. Everybody should have access to those things! Good analysis. Especially the ‘pay-to-enjoy-play’ aspect. There’s no way that we are doing, or could do, the intense travel I seem from some friends whose soccer games all seem to be in NJ or VT or FL or something. Which means, yeah, that kid #2 is likely going to drop as his elder brother did because he’s fed up with the teammates that remain. Kid #1 has ended up on some combination of track and ultimate frisbee, which seems fine. And relatively cheap/compatible with actual life!